Dogs are the most favorite pets of people. They are considered as man’s best friend. There are many types of dog breeds in the market, so you must choose the one that can match to your needs. One of these dog breeds is the Black German Shepherd Dogs. Is there a black German shepherd? How long are German shepherds supposed to live? Does Black German Shepherd shed? Is Black German shepherd Hypoallergenic? Are black German shepherds more aggressive? Are black German Shepherds good family dogs? What health problems do German shepherds have? How much does a black German shepherd cost? Are you curious if there is a black German shepherd dog breed? Well, the answer to that question is yes. This dog breed has a black coat. They are often mistaken as a mixed breed. Some also say that the black German Shepherd is the result of the defect of abreed which is wrong. This dog breed is not a myth. About 6.8% of the world’s German Shepherds are black. The black coat comes from the recessive or dominant genes. It happens if the parents have both stable black recessive genes. This dog breed is among the most expensive dogs in the world. The Black German Shepherds are rare, but they are physically similar to regular German Shepherds. They can be humongous, has a straighter back, and has a solid black color. They also have a longer coat that is sometimes skirting, flowing mane and feathering. The American Kennel Club recognizes the Black German Shepherd, and their black color is known as their breed standard. The Black German Shepherds originated in Germany. The German Shepherd Dog (GSD) is the result of various herding dogs selected to produce excellent working dogs. They live for purpose in many years. Aside from providing joy to pet owners, they also help the police, military, and other support services. This herding dog breed can be helpful both in companion and working. In the 1800s, Germany has different herding dogs. Captain Max von Stephanitz, a German cavalry officer, believed that dogs are bred to assist in support activities. He was amazed by the character and strength of the herding dogs. In 1899, he attended a show where he availed HektorLinksrhein which became Horand von Grafrath, the first ever named German Shepherd Dog. The German Shepherd is ranked 2 out of 194 for popularity based on the American Kennel Club. The Black German shepherd is the result of 2 black German shepherds or 2 bi-colored breeds. Black German Shepherd is friendly, protective and loyal dogs which make this dog breed a perfect companion. Meanwhile, they require training to be more socialized around other people. With the aid of socialization training, they will learn to stay calm, balanced and well-mannered. Even more important, exercise is also helpful for obedience training, crate training as well as agility-based training. You may not know it, but the Black German Shepherd is among the most sought-after dog breeds for military and law enforcement. They can help the authority for security and other essential purposes. The black color of the dog can sometimes be intimidating, but with the help of proper training, they can be the best companion that you need. You must be responsible for giving the best love and care for your Black German Shepherd that you need. 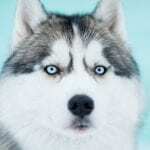 This dog breed is known for its courageous, stable, active, trainable, obedient, loyal as well as intelligent personality. Meanwhile, it would help if you also supported their daily exercise of around 1 hour or more daily. They have a high activity level because of their exercise requirements and high intelligence. GSDs have a high level of friendliness, trainability, ease of care, social tendencies and exercise requirements. They are also considered as guard dogs and can be trained to protect. If they are adequately trained during their young age, they can be more sociable. They can even play happily with big children in the yard. A healthy Black German Shepherd can survive around 12. 5 years of age. So, if you want to prolong the lifespan of your best friend, you must take responsibility to keep them safe and healthy. You must make an effort to provide them the happy and comfortable lifestyle that they deserve and need. Taking good care of them as your family member is the perfect and most effective solution to extend their life to the fullest. You must be responsible for their daily nutrition. Some of the giant breeds of black German Shepherd requires 20 calories per 1b of body weight daily. On the other hand, a regular male black German shepherd can consume about 1300 to 1800 calories per day. This dog breed can weigh about 66 to 88 Ibs and can grow around 55 to 65 inches in height. They have a little straighter back compared to regular German Shepherds. This dog type comes with a flowing silky coat which ranges from short to long length. Black German Shepherd shed. They have coat lengths that can shed which can also bring you some allergens. They shed, so you must give attention to it. The best way to control the shedding of your dog is through proper grooming. It would help if you brushed your black German shepherd at least two times weekly. You can make use of the de-shedding brush and bath them on a regular basis. You must know how to control shedding. In helping you with this, the following are some tip to control shedding. Brush your dog every day. Making it as part of your black German Shepherd’s daily routine will help to reduce shedding. Use de-shedding treatments and shampoos. It is among the standard solutions to make the black German shepherd shed-free. Blowing out with high-velocity dryer can help to reduce shedding. It can immediately dry the coat of your Black German Shepherd. You have nothing to fear because it is safe and effective. With the help of these techniques, your pet can shed 80% less for around 2 or 3 weeks. On the other hand, shedding can also cause by several factors like diet, age, activity, and more. So, you must be careful in providing their foods, and other basic needs. The Black German Shepherd is not an aggressive breed of dog. If you want a lovable and friendly dog, this breed can be a good choice. Meanwhile, some believe that Black German Shepherd is an aggressive dog. Well, if you want them to be aggressive, you are suggested to take them on training with a professional trainer. The unique characteristic of this dog is that they are friendly even with strangers, but they are still cautious. If you search for a family dog, then this dog breed is a good option. It is an ideal dog for families with big children because of its approachable and easy-going personality. 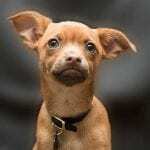 They can also be excellent guard dogs because of their loyal and protective attitude. Black German Shepherds need love, care and attention from their colleagues and family. So you must shower them with an exceptional level of love and tenderness to keep their satisfaction and happiness. This dog has a lovely character, and if they are properly trained, their need for companionship can result in them on helping deaf, blind as well as other impaired people. The black German Shepherd is a responsible dog that protects their family and companion. They are watchful and alert and bark if there is something amiss. This dog breed is a very family-oriented dog. They don’t like to feel alone. So, you must always make them feel like part of your family. Thus, being alone makes the Black German Shepherd anxious and stressed which leads to barking and destruction. They are sturdy and robust dog breeds, so you must know how to understand their daily needs. If you give them the proper training and their basic needs, you can make them as your excellent family dog. Arthritis – This health problem is one of the most common diseases that a dog can suffer. It can also result in mild or ever disabling. 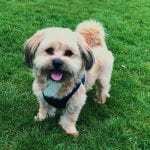 Exocrine pancreatic insufficiency (EPI) – You must provide your dog with great preventative care to avoid this health issue. Elbow and hip dysplasia – It is the condition wherein there is an abnormal development in the hip which can lead to deteriorating and weakening of muscles. It can be treated with the help of medication and therapies. In this case, surgery is also required for the treatment. Von Willebrand’s disease – This disease can be suffered by your dog which can deteriorate your dog’s health. So, it would help if you took immediate action to stop this illness. Degenerative myelopathy – It is also known as canine degenerative myelopathy (DM). It is a disease on the dog’s spinal cord which can make nerve cells to fail. If not given proper solutions, it can lead to hind leg paralysis. Degenerative spinal stenosis – You must feed your dogs with the right foods to prevent this health issue. Osteoarthritis – It is a degenerative joint condition that is painful and can lead to loss of movement on the joints of your dog. Back stiffness (Cauda Equina Syndrome) – It is a health issue that can affect the back of your dog. In this condition, the nerves are compresses which lead to stiffness, lameness, and pain in the back, tail, and hips. The food you give to your black German Shepherd can also be the reason for extreme shedding. The coat and skin of your dog can be sensitive to some deficiencies when it comes to their nutrition. So you must choose balanced and premium quality dog food. With good quality dog food, your dog can absorb essential fatty acids and protein that can promote skin elasticity and stronger hair follicles. 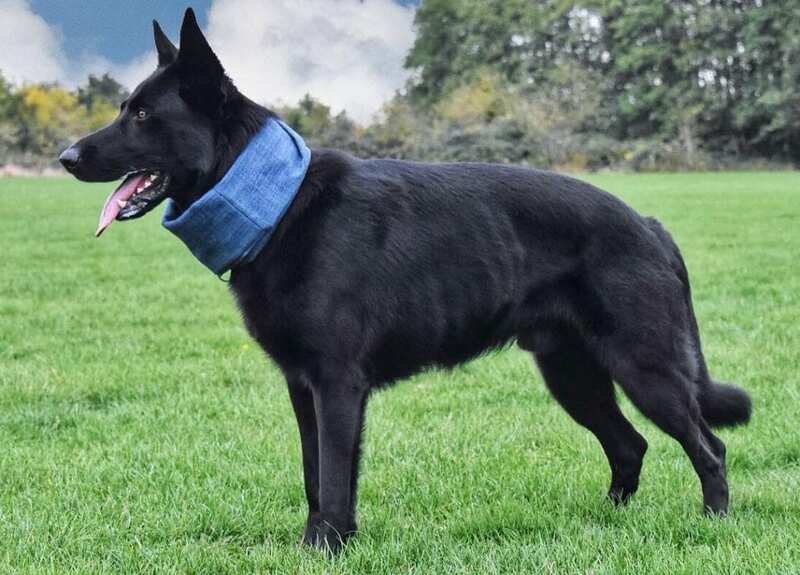 With this, the coat of your Black German Shepherd can be healthy and can minimize shedding. A flaky skin, dull coat as well as extreme shedding can also be the cause of omega 3 and six deficiency. Moreover, 30% of protein daily can contribute to the renewal of your pet’s hair and skin. Black German Shepherd can also suffer from allergies. They can experience allergies such as red and itchy skin, sneezing, red and watery eyes, infected and red inflamed ears. These allergies can be caused by food, environment, and lifestyle. Therefore, you must be responsible for keeping them away from allergies. The stress that may experience by the dog can also be caused by overstimulation, loud noises, unfamiliar places and more. It can also be the reason for pain or disease, an upset stomach, or sprained bone. Ticks, fleas, and parasites can make your dog feel uncomfortable and itchy. It can lead to hair loss and scratching. If you suspect these problems, you must conduct a proper inspection. The parasites can be treated with insecticides and specialized flea shampoos from your pet store or vet. 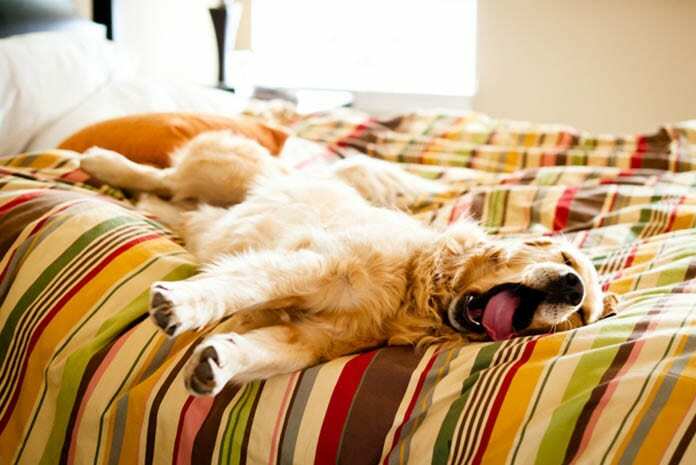 Your dog sleeps anywhere in your bedding, blankets, furniture, so you must make sure that the laundry and other items are adequately cleaned. Even more important, you must also practice good grooming with your black German shepherd. The Black German Shepherd can be healthy most of the time if you will be responsible enough to support their essential daily needs. With proper nutrition, regular exercise, and preventative care, you can minimize the occurrence of these health problems. You can reduce the risk to the health of your Black German Shepherd if you provide them with the best care, love, and support. It would help if you treated them like humans and like your children. It is the best decision for them to enjoy healthily, live longer, happy as well as satisfying living conditions. Commonly, black German shepherd owners feed their puppy with four meals each day. Their nutrition is essential especially for bigger breeds because they can be predisposed to bloat. It is the situation wherein the stomach becomes twisted and bloated which is fatal. So, if you want to avoid possible health risk to your beloved dog, you must provide them with the proper and healthy meal that can support their overall health. Meanwhile, from 4 meals per day, you can reduce it to 2 or 3 meals per day when they already reached six months old. Black German Shepherd adults can maintain at least two meals per day. You must be careful in choosing the foods of your dog to keep them safe and healthy. The dog food you are feeding for them must contain the daily nutrient requirements of your dog. It is advisable to feed black German shepherd with 1.19 grams of protein and 0.59 grams of fat per pounds of body weight. You must also include carbohydrates on their diet to supply their energy requirement. Some pet lovers say that Black German Shepherd is one of the costliest dog breeds all around the world. If you are planning to buy a Black German Shepherd, you must be careful to prevent disappointments in the end. Several breeders in the market may take advantage to you. So, it would be best if you were alert to avoid scams and forgery. The color of the German shepherd has nothing to do with its temperament. The cost of this dog breed can increase due to its silkier and longer hair. If you want to get the best transaction in availing your black German shepherd, you must go to a responsible and trustworthy breeder. They must be qualified and offer proper paperwork. Reliable breeders will present you about the history of the puppy and its parents. In addition to that, the breeder must show you the complete history of the dog including their health. Most of the reliable breeders will tell you to meet the parents of the puppy. So, the next time you are going to buy a black German shepherd, you must not hesitate to ask essential questions about your puppy. 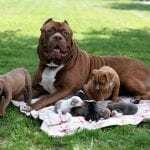 A legit breeder will offer you the needed information with your dog. The standard Black German can be availed around $300 up to $700 for a puppy. On the other hand, the black GSD is available in $700 to $2000 each puppy. The Black German Shepherd is one of the most expensive dogs in the world. However, it would be best if you were not discouraged because of their price reasonable for its lovely character. Every dog is special. Well, if you are a dog lover who is currently searching for a pet, then you can adopt a dog from a black German shepherd rescue or shelter. With this, you can rescue them and provide them the best living condition that they need and deserve. 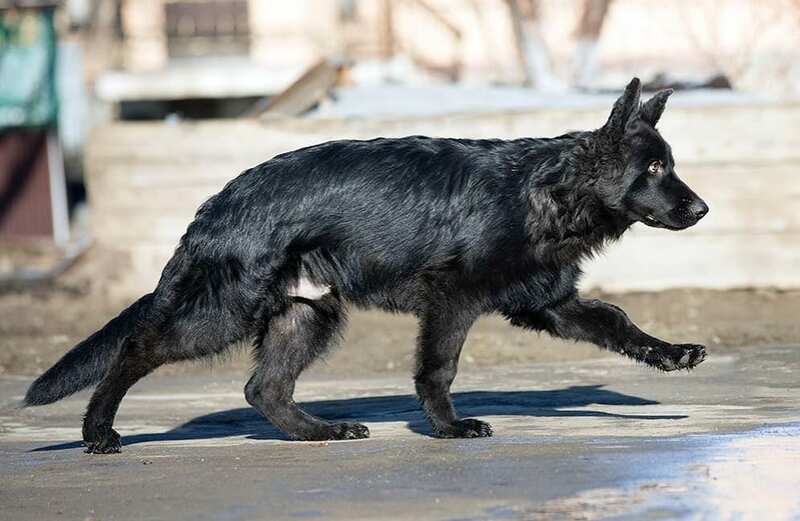 Adopting black German shepherd can help this dog breed to extend their lifespan. Thus, they can experience a healthier and happier lifestyle with your support. You can treat them as your child and an essential member of your family. Meanwhile, adopting them is not enough; you must also provide them with the best things that they need to have a happy lifestyle. Taking care of black German Shepherd takes excellent responsibility, time and effort. So, before you decide to adopt, you must make sure that you are ready to give them their daily needs. 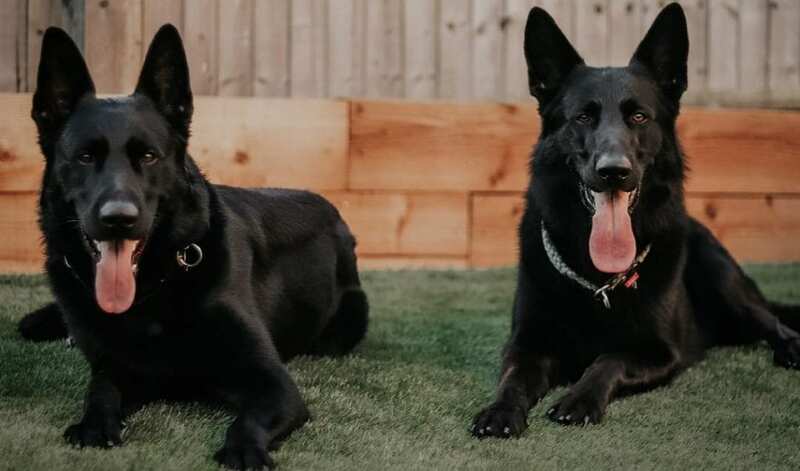 To sum it up, the Black German Shepherd dog breed can be one of your best family dogs that can offer you better companionship and love that you need. This dog breed is adorable and loyal, so you can always make them the best partner when you are alone. Taking a walk with them can help to brighten up your mood. They are sociable dogs that can help police and security forces to track possible illegal activities. Purchasing a Black German Shepherd will not make your regretful because they are worth buying. With them, you can have a pet that will comfort you during the times that you are down, lonely and tired. This dog breed can help you with your therapy when you are stressed. With their lovely and funny nature, you can be happy and forget your negative thoughts. Black German Shepherd is a friendly and adorable dog breed. They can be an excellent family dog if you treat them properly. You must shower them with kindness and provide their basic needs to live healthy and happy. Living with a Black German Shepherd can make you happy and healthy.